D-Day approaches! For me anyway … and really I guess it’s W-Day, but whatever, the point is this is the last episode before yours truly is bound by the shackles of love. As such there will be a little bit of a longer hiatus between episodes 16 and 17 (expected to be three weeks instead of what would be the usual two) so get your Turn 8 while it’s piping hot! Today’s episode is back to basics with our usual bag of tricks, no special segments and therefore it’s a little more bite sized for those that enjoy a shorter show. Also, we finally reveal the details about our Blind Fight, so tune in! 00:22:02 This Random Time Period In 40k! A note from the Editor: It is with great pleasure that I present to you a labor of love and wonderful tutorial from two-time guest host, Andy! This complete tutorial features his fantastically painted Blood Angel’s Stormraven which he slaved over in the beginning of 2011. The original tutorial, which can be found on Andy’s blog, was delivered over nine parts. Andy has been gracious enough to recreate that tutorial here, slightly condensed, for you, the Turn 8 audience (also, it gives some better exposure to his work … win/win!). Please enjoy and feel free to leave our man a comment or two. Ok, so I’m FINALLY posting my walk through of the building and painting of my Blood Angels Stormraven. 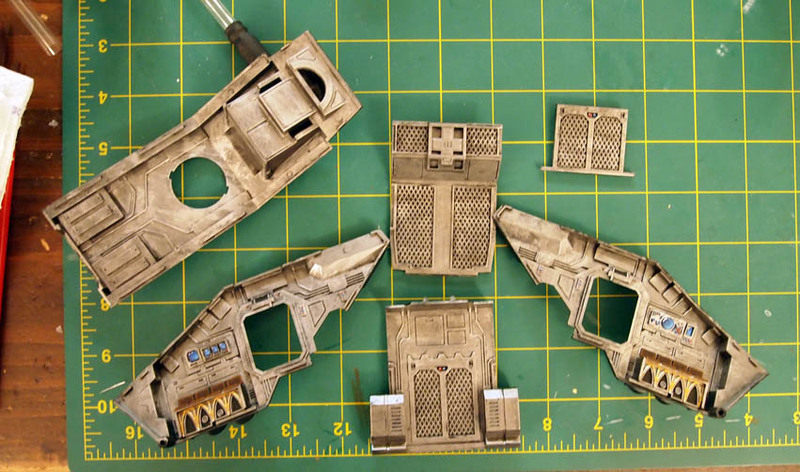 So, obviously I unsprued things and filed down all the mold lines etc. I decided to actually paint the inside of this thing (for some reason). First I black primered the interior (not the outside). 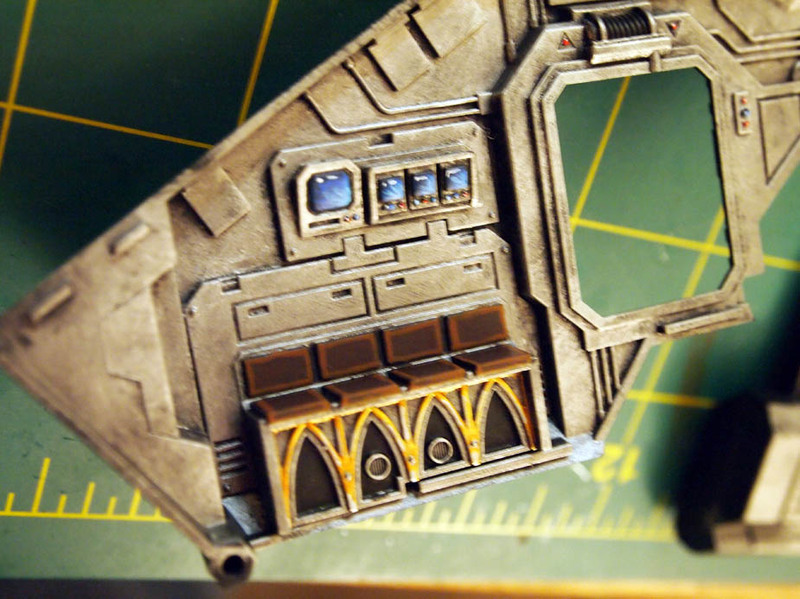 Then I used Boltgun Metal to pretty much coat the entire interior (Space Marines aren’t into interior design so much). I used the Black Ink (not Badab black, I have an old bottle of the stuff and its MUCH stronger than Badab Black) with a half water half ink mix and washed the hole interior. If you have Badab Black, just use that straight up with no dilution. Then i did a dry brush of Boltgun Metal again to get rid of the “watermarks”. For the walkway ramps, I also did a wash of Devlan Mud to show where the Marines would trudge dirt and grime everywhere when they embark and disembark.